Most red-blooded American guys would think that a “long walk on the beach” is a super-corny cliché. Not in Hawaii. In fact, there’s nothing else we’d rather do here. The powdery sand is easy on bare feet, the water is the perfect temperature, swaying palm trees set a romantic scene, and the sunsets are some of the best in the world. Naturally, not all beaches are created equal, and some rise above the rest due to their location and ambience. These are the ones on which to let yourself loose. We’re not going to sit here and tell you Waikiki Beach is awful. It’s not. Even though it’s the main, tourist beach in Oahu (i.e., crowded), it’s worth checking out, especially if you want to catch the “green flash,” that moment when the setting sun hits the horizon. But to find the best beach on Oahu, you’ll have to drive an hour north to North Shore. It’s a major surf town, but it’s also where all the most interesting people hang out, the ones you actually don’t mind spending time with on your honeymoon. Hit up Laniakea, or Turtle Beach, where you can chill with hundreds of sea turtles. Or head to Sunset Beach, a sprawling straight of white-sand with perfect breezes and gorgeous waters. If you surf, check out Banzai Pipeline (Ehukai Beach Park), where top surfers congregate for the best waves. The only bad thing about beaches in Maui is that there are too many great ones to keep track of. 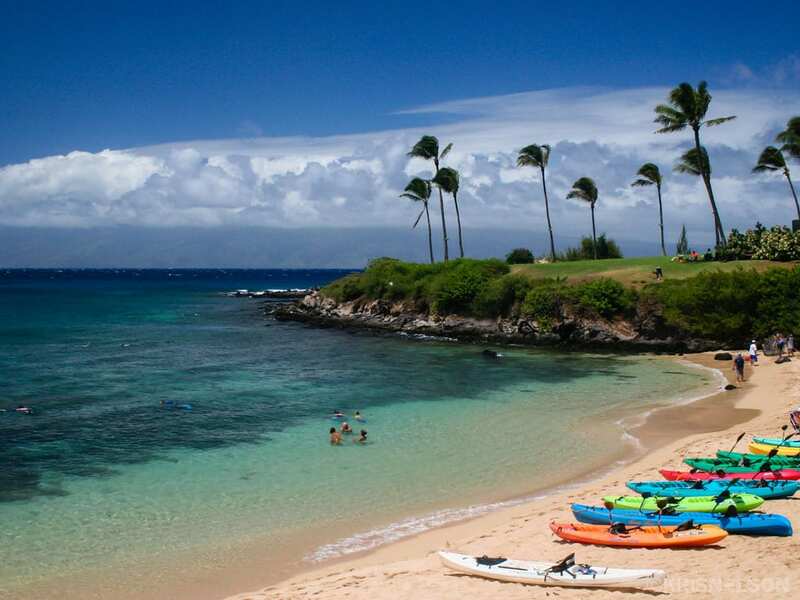 Makena Beach State Park is the most popular, but Ka’anapali Beach and Baldwin Beach are also absolutely stunning. But Napili Bay has an advantage over them: it isn’t overrun with tourists and it’s tucked away from the wind. 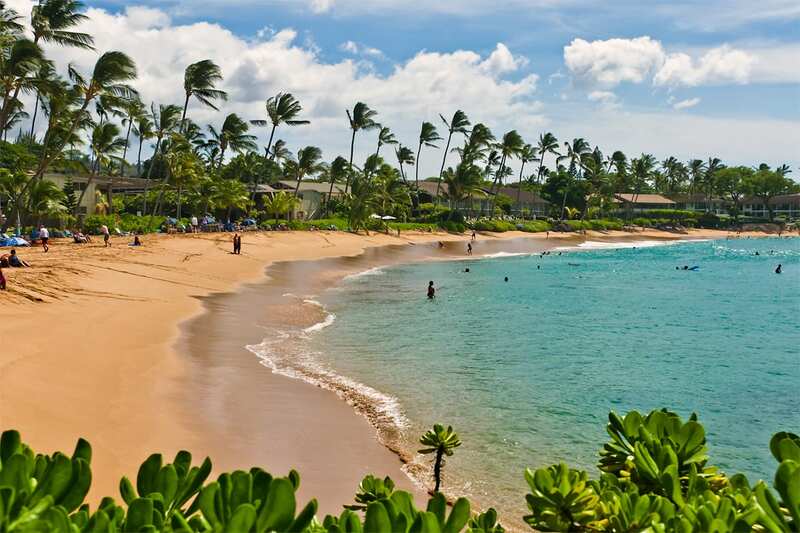 It’s the definitive Maui beach, with a perfect stretch of sand, aqua-blue waters, and all the sky you could want. It’s also a magnet for sea turtles if you want to mingle with the wild life. Because of its quiet and relatively small size (the sliver of crescent-shaped sand is less than a mile) Napili Bay is particularly romantic. It’s also perfect for photos, as the entire beach is usually within view. We talk about “best beaches in Hawaii” without including Kapalua Bay. Another Maui stunner, Kapalua Bay is one of those magical, romantic spots you’ll want to spend hours enjoying. Because it’s up north, it’s a little more removed: you’ll have to go through some winding residential roads to get there. 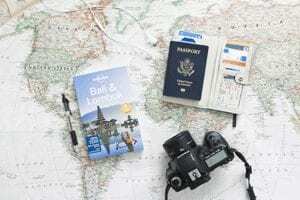 While Kapalua Bay is geared towards affluent travelers (The Ritz Carlton and Montage Kapalua Bay resorts are here), all beaches in Hawaii are public, so it’s also a popular spot for locals who want to steer clear of the crowds. The waters are super calm at this sheltered beach, which makes it perfect for snorkeling. You can also indulge in watersports like kayaking and boogie boarding. It’s a truly incredible beach, and always considered one of the best in the world by critics like Conde Nast Traveler and Travel Channel. 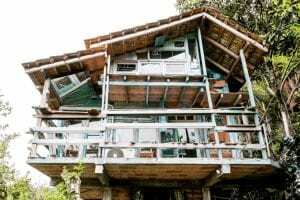 Because Lanai is tiny (population: 3,000), it’s a magnet for two groups: celebrities, who want to avoid the crowds, and honeymooners, who also want to avoid the crowds. 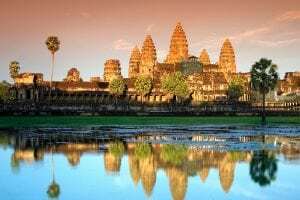 Stars like Tom Cruise and Oprah Winfrey have come to this off-the-beaten path island, to stay at one or the other of the two available hotels. All the beaches are uncrowded, including Hulopoe, and you’ll probably feel like you have the entire stunning beach to yourself. Hulopoe is as pure as it gets: there are no bars, restaurants, condos, beach chairs, umbrellas, or even boats. Fringed by a green forest (which is the only shade you’ll get), the sandy white beach and crystal-clear waters makes it one of the best beaches in Hawaii. Snorkeling is a must, thanks to the rich marine life, as are the picturesque lava rock tide pools near the south shore. 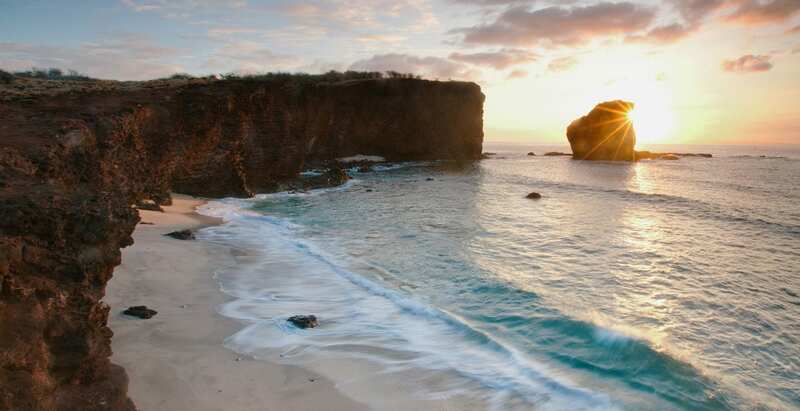 Due to volcanic activity and unique microclimates, the Big Island is home to white-sand beaches, black sand beaches, and even green-sand beaches. You’ll never experience this varied a feast for the eyes anywhere else. 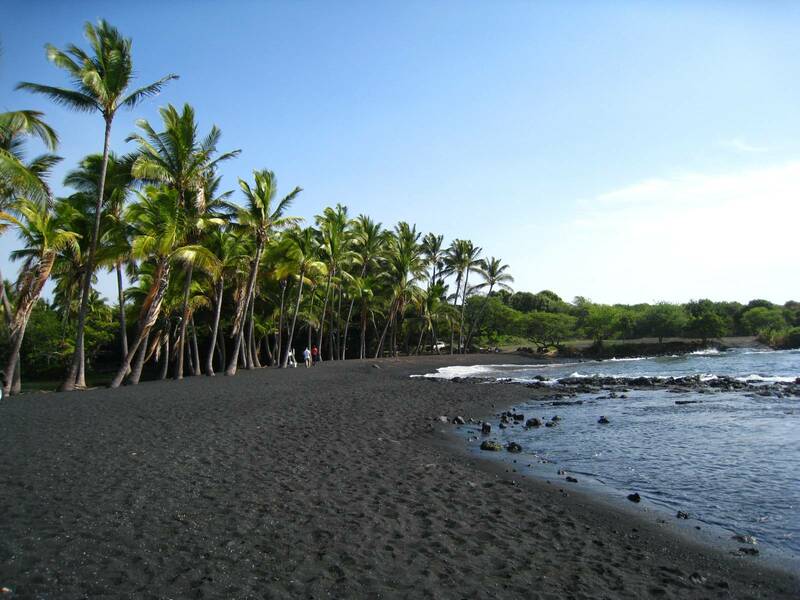 The black sand beaches (the “sand” is actually tiny fragments of cooled lava) are the big draw, and Punalu’u is the most famous. Because black attracts heat, the sand is particularly warm, which attracts a lot of sea turtles, who live to chill out in the sun. The black beach is framed by swaying green palms and stark blue waters, so skip the filters when you start posting your photos on Instagram. You won’t need them here.